Invisible zipper's teeth are behind the tape. 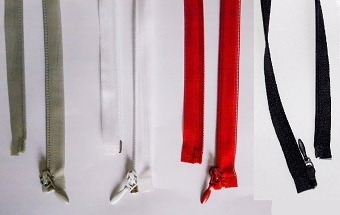 This kind of a zipper is common in skirts , dresses or pillow and is a quick and easy way of fastening a garment. Looking for Open End, Auto Lock Invisible / Concealed zips ? Install zippers on your garment with professional results. 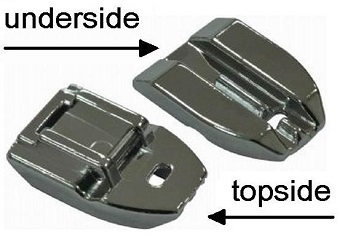 The Concealed Invisible Zipper Sewing Machine Presser Foot allows you to create beautiful and professional concealed zippers with ease and precision. You will be sewing in no time! Brother, Babylock, Husqvarna Viking (Husky Series), Euro-Pro, Janome Juki, Bernina (Bernette Series), New Home, Necchi and Elna Sewing Machines.